So I was supposed to post this last weekend because I received this box during last week, but I totally forgot to post it! Doh. Anyway, if you remember last week I posted about beauty box subscription services which just recently released here in Indonesia. 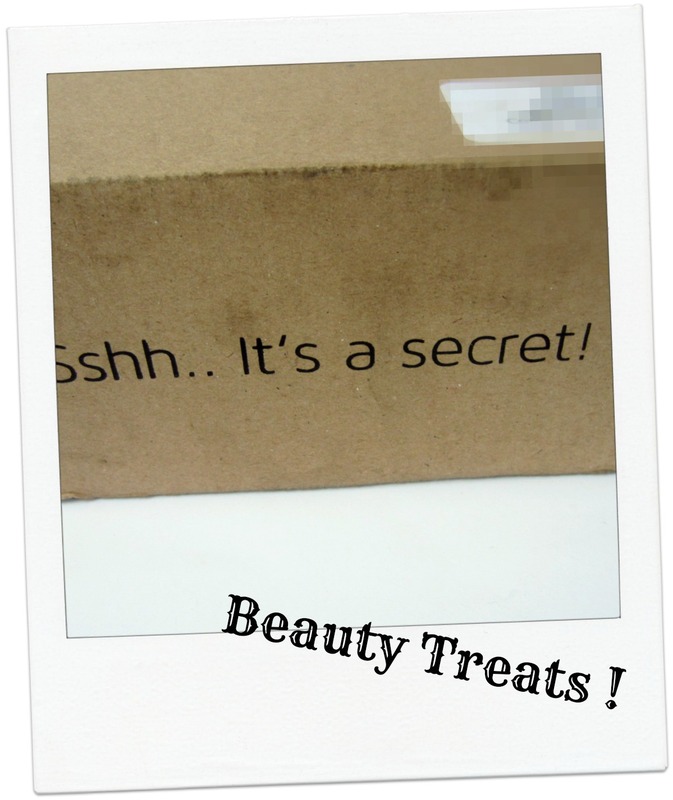 My first box was a beauty box subscription called Lolabox, and today I'm gonna talk about another beauty box subscription service called: Beauty Treats. 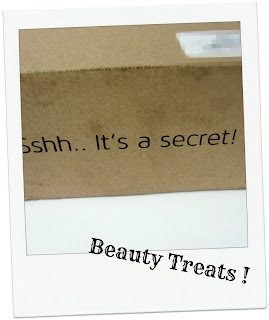 Unlike the Lolabox which I have received for the second time this month, this box is actually my first box from Beauty Treats. Although Lolabox and Beauty Treats released their first box at the same month (which is on April) but I didn't subscribed to both of them at that time. I only received my first Lolabox courtesy of Lolabox herself. When I opened the cardboard box I found another box inside it which is the real Beauty Treats box. So just like Lolabox it has a separate outer box as the packaging. The first thing I see when I opened the outer box is the pink leaflet + note card with a honeycomb design. Beneath the leaflet & notecard there's a pink box wrapped with black satiny bow. 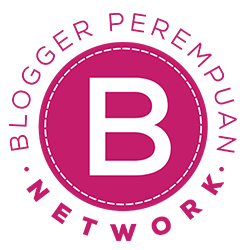 The pink box itself is a medium sized box with a "B" logo on top of it. I remember seeing the first Beauty Treats box from April on many beauty blogs, and the box was different with this one, so I guess they have different style of boxes every month (same as Lolabox). Now let's un-tie the bow and take a peek inside, shall we? A little peeking won't hurt, LOL. Now let's just cut this whole drama and take a look at what's inside the pink box! I can see that the box is full of goodies and I didn't waste my time and just go straight to opening the bow carefully because I didn't want to ruin the pretty packaging. "let's stop with the drama, and get straight to it"
Lots of goodies which I am really excited about! 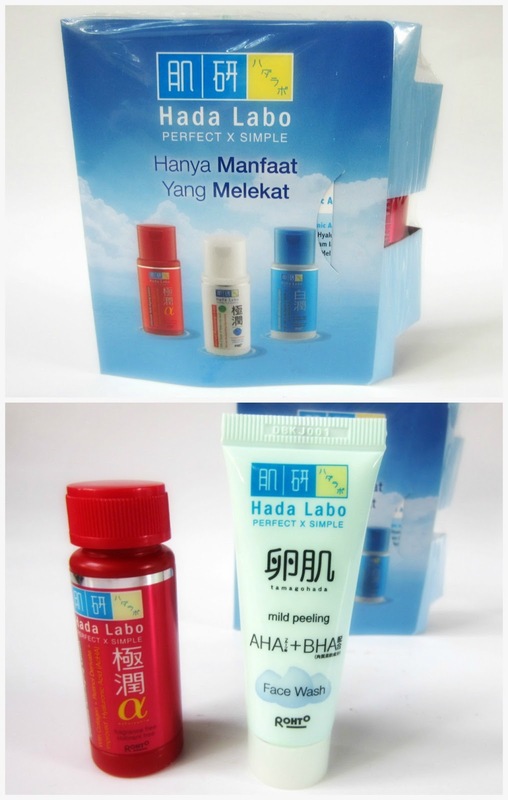 I can't believe that I received these many products for only IDR 95.000 ! No wonder the box was quite heavy, that's because there are quite many bigger size products inside it. Well I mean bigger size samples. Most of these products are more than just a deluxe sample size product because these are very generous in size! I noticed that I received 4 full size products in this box, wow! And for the relatively cheap price (compared to other beauty box services) this is such an awesome purchase. I'm also very satisfied with the products as most of them are brands that I have been curious about and wanted to try. Keep on reading to see what I got! The full size products that I received are: Face on Face Nourishing Blush On, Lioele 3D Lifting Mask, Rudy Hadisuwarno Hair Intense Repair Serum set, and D'Eyeko Olga Lydia False Lashes. The D'Eyeko False Lashes itself worth IDR 50.000 and the Lioele Face Mask worth IDR 37.500 so this box certainly worth more than what I've paid for (which is IDR 95.000). Let's see the products in more details, shall we? Skin Aqua sun protection skincare set. Moisturize and soften your skin as well as protecting your skin from the sun's UV-A and UV-B. 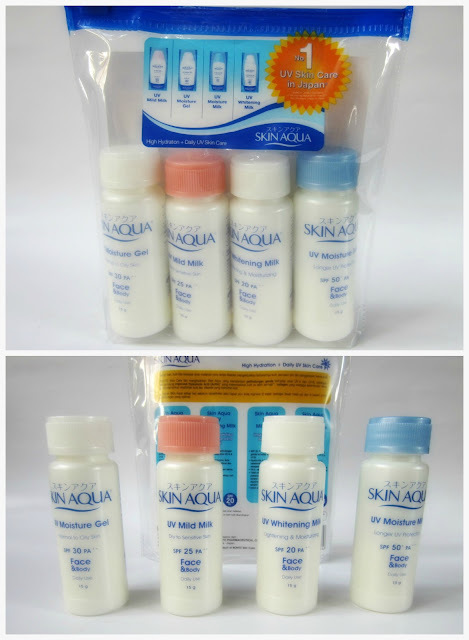 I am sooo excited to be able to try Skin Aqua because I've been curious with it ever since it's launching here. Skin Aqua is popular with their sun protection skincare which is something that's very important for me but I seem to always forget to use it every day ;( - So I'm pretty excited to try these out! This intensive treatment serum works optimally to provide vitamins and nutrients to the hair shaft and to provide protection to the hair before and after chemical and heat process. This specific range is targeted for adult skin (anti aging). Effectively nourish skin, diminish fine lines and wrinkles on the face. Everyone seems to receive different range of Hada Labo on their beauty boxes so I guess they really personalize the boxes according to our beauty profile (love it!). According to my age, this anti-aging is the right choice for me, LOL. D'Eyeko natural strip lashes enhance the natural beauty of your eyes. Available in various styles, with different length and volume. Easy for daily or special occasion. Everyone receives different style of D'Eyeko eyelashes too on their boxes, mostly from the Syahrini line. 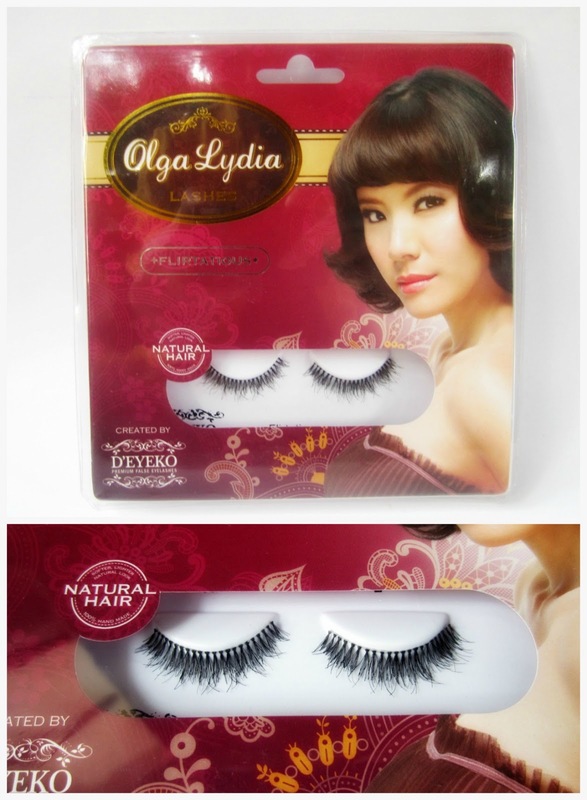 But I am so very glad that I received these from the Olga Lydia line instead because I already own a couple of Syahrini eyelashes. 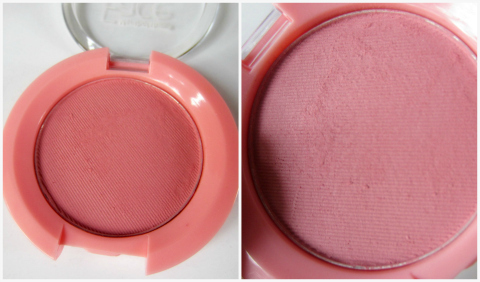 A natural pink color, perfect for everyday look. Enriched with Hyaluronic Acid to moisturize the skin, Vitamin E and Mineral oil to nourish and maintain a healthy skin. With it's melt away texture and fresh lip effect, Rouge Artist Natural dresses lips in delicious crystal clear shine. For natural coverage and an incredibly luminous, fresh smile. When I put picture of this, people would assume that this is a palette, but this is just a 3 colors tiny samples set. So no, it's not a palette. If you read my Lolabox post, you'll see that Lolabox also has a trial set from MUFE but it was for their Aqua Cream line. So I'm glad that it's not the same as this one from Beauty Treats box. It's packed with powerful ingredients to prevent and reduce gravity's pull on our skin. This sheet mask contains 34 grams of serums soaked in a high quality absorbent paper mask. Containing witch hazel extract and tea tree oil to help shrink pores and prevent blackheads. It has anti bacterial properties too. This is a sample kit which includes all three variants of Caring Colours BB Creams: Everlast (for long lasting), Fair White (for whitening), and Luminizing (for extra reflecting). I have tried a couple of these BB Creams before so I'm gonna give this sample to someone else instead so that they can try it out. Overall, as this is my first ever Beauty Treats box, I am very satisfied with it because it is the cheapest beauty box subscription service around and they came with great service and quality. 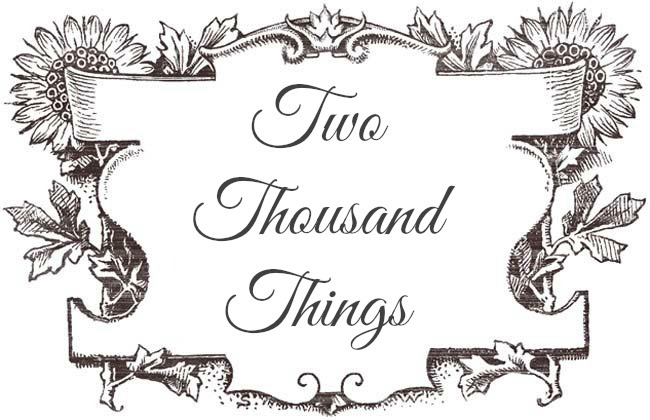 I received a box full of goodies that's worth more than the price I've paid. I'm also very happy to see that most of the brands inside are brands that I've been wanting to try. I also like the discount vouchers included in the box because I can actually use it to purchase something I want/need. 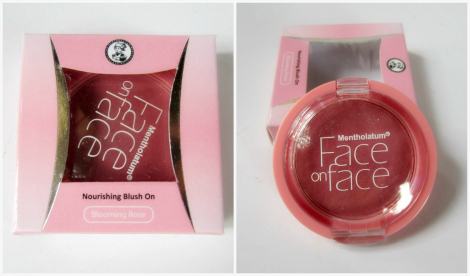 My only concern is the longer time period to received the box, and the Face on Face blush which looks like it's been used. Based on this first experience with Beauty Treats I decided to continue my subscription for next month with Beauty Treats :) They now have two different boxes that we can choose, depending on our preference. Now they have another option which is the Platinum Box which costs IDR 135.000. 1) The BTI Gold Edition box, price IDR 95.000 (filled with lovely affordable Local and International brands). 2) The BTI Platinum Edition Box, price IDR 135.000 (Filled with Local and International Higher end brands). After trying the Gold box I am now curious with the Platinum box so for next month subscription I'm gonna try the Platinum box to see the difference. 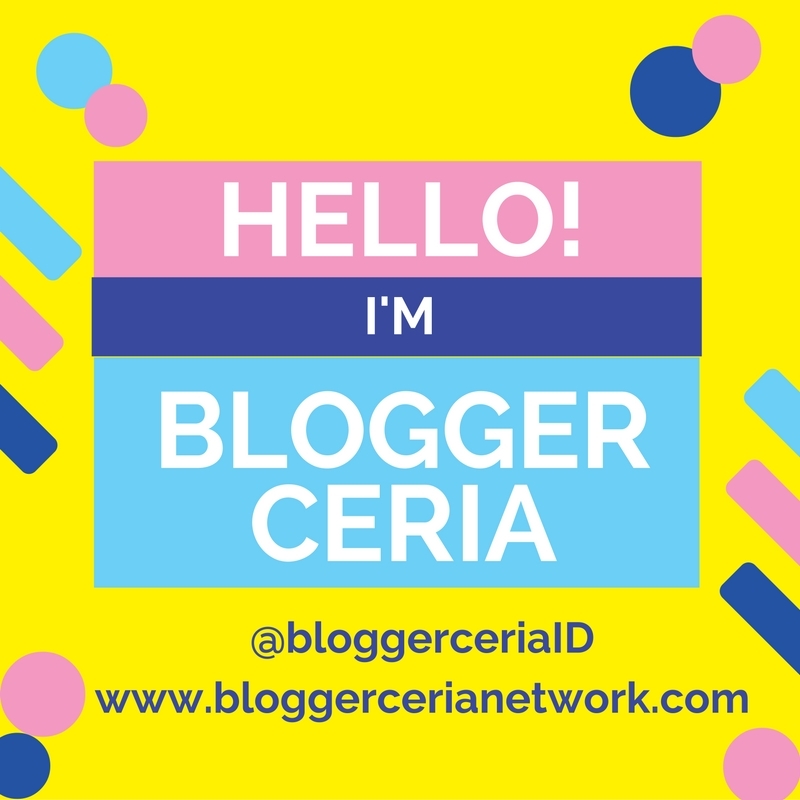 Stay tuned and subscribed to my blog if you want to know more about the Platinum box because I will surely review it here again so that you can see the difference on the two boxes. Winner of DOP Handcraft Giveaway!